If you’d like to come into her Holland office during normal operating hours, please make an appointment. You may also contact her by e-mail or phone. The best step is to fill out the Get A Quote tab on our web site. As a child, Karen watched the Wonderful World of Disney on her family’s black and white television. She watched Mr. Walt Disney talk of possibilities, creating family memories, and making dreams come true. In 1971, the Magic Kingdom, Walt Disney World® in Orlando, Florida was born. Her father sacrificed to take her family to ‘The Happiest Place on Earth’ the following year in 1972. 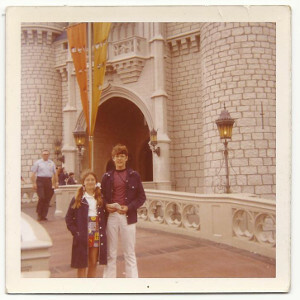 That’s me with my brother, Michael, in front of Cinderella’s Castle. Going to The Magic Kingdom that year – the only park built at the time – opened her eyes to new experiences. 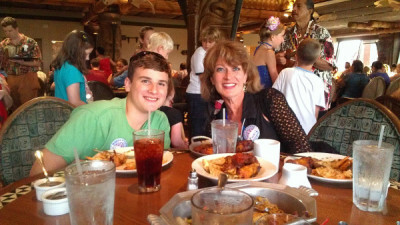 She saw families spending time together and having fun, but, what really impacted her was that families were also enjoying the best customer service in magical surroundings. It was an exciting place bursting with energy! 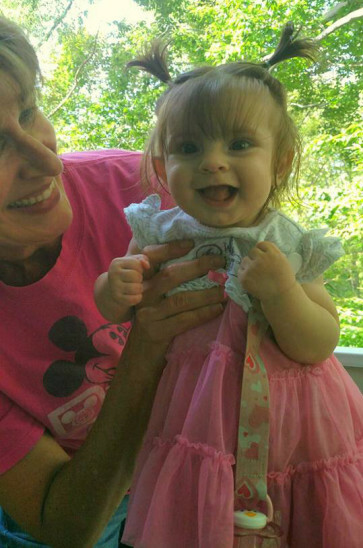 Karen knew she wanted to someday help others ‘feel’ the magic the way she did as a child. When Disney continued to expand, – – not only Walt Disney World®, but grew domestically and internationally, it became her passion to help clients feel the legacy of what Walt had begun. Getting her start working in reservations at Walt Disney World, she brought her professional experience and personal know-how to open I’m ALL Ears Vacations, LLC, in 2005. Are you an active professional planning a successful adventure, or coordinating destination family reunions? Do you want to spend a week or two with family experiencing ‘Magical Times! In Magical Places!’? 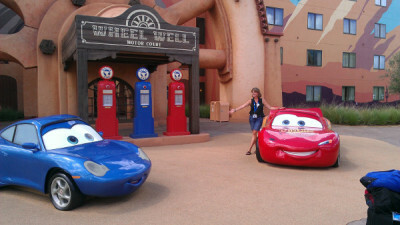 Karen will help make your experience with Disney a memorable one.